Do you sometimes worry that your brain isn’t working quite right? Maybe you feel depressed and anxious…suffer from mood swings…or have problems with poor memory and an inability to focus. Well, the problem is not “all in your head”—in fact, it may be largely in your gut. What most people don’t realize: Your brain is more than the gray and white matter between your ears. It is part of a system that includes the gut and the microbiome, the community of bacteria that populate your digestive tract. If your gut or microbiome isn’t working right, you will feel as if your mind is deteriorating and your emotions are out of control. Recent finding: In a study of 12 depressed people who were not helped by antidepressants alone, 75% had significant improvement in depression scores after two months of adding a probiotic, a supplement containing “friendly” gut bacteria. But when the probiotics were stopped at the end of the study, depression returned. • Neurotransmitters. 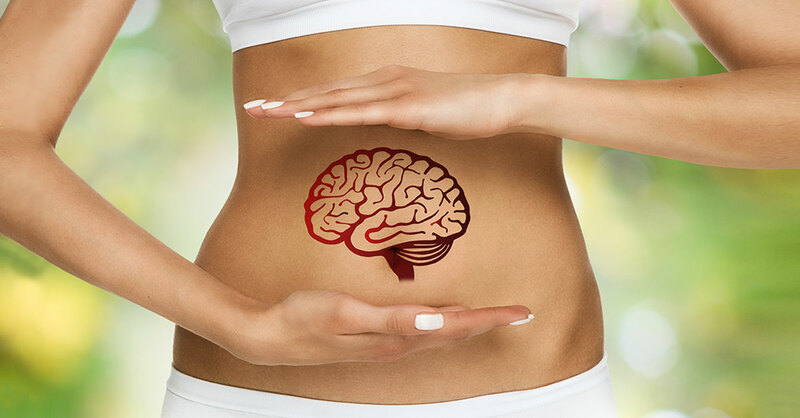 Your gut and microbiome produce neurotransmitters—serotonin, dopamine, gamma-aminobutyric acid (GABA) and many others—biochemicals that your brain needs to process thought and emotion. In fact, a staggering 95% of serotonin, the “feel good” neurotransmitter, is made by the microbiome and gut. • Neurons. Your gut has its own neurons (nerve cells) that send messages to the neurons in your brain. There are actually more neurons in your gut than there are in your spinal cord. Those neurons—collectively called the “enteric nervous system”—also are responsible for digesting food, absorbing nutrients and expelling waste. • Immune system. An estimated 70% of your immune system is located in the gut, regulating inflammation. Further, an imbalanced microbiome can lead to leaky gut, which allows food proteins, carbohydrates, fats, bacteria and other by-products of digestion that should stay in the gut to escape into the bloodstream, causing body-wide inflammation—including neuroinflammation, a primary cause of negative emotions and confused thinking. • Genes. The bacteria in the microbiome optimize gene expression (epigenetics), helping to suppress a genetic tendency to depression, anxiety and dementia. The gut-brain axis is what scientists call the two-way street through which your gut sends instructions to your brain—and vice versa. Messages on the gut-brain axis help determine whether you feel depressed or buoyant…anxious or calm…mentally foggy or sharp. STEP #1: Prebiotics are high–fiber foods that nourish the healthy bacteria (probiotics) in your microbiome. There are three key fibers important for your microbiome—arabinogalactan, inulin and resistant starches. Important: Try to get two or three servings of these high-fiber foods in your diet every day. Arabinogalactan feeds your lactobacillus and bifidobacterium, two types of bacteria that are crucial to your microbiome. This type of prebiotic also has strong antibacterial properties, helping to keep disease-causing bacteria in check. Best food sources: Carrots, kiwis, onions, pears, radishes, tomatoes and the spice turmeric. Inulin is believed to help your microbiome produce B vitamins—must-have nutrients to manage emotions, think clearly and cope with stress. Best food sources: Asparagus, garlic, Jerusalem artichokes, jicamas and onions. Resistant starches help your gut bacteria produce butyrate, an “information biochemical” that feeds your microbiome. Additionally, butyrate lowers inflammation—which helps reduce anxiety, depression and cloudy thinking. Best food sources: Grains such as millet, quinoa and rice…legumes (beans, garbanzos and lentils)…nuts (including almonds, Brazil nuts, walnuts, nut butters and nut flours)…and seeds (including chia seeds, flaxseeds and pumpkin seeds). STEP #2: Fermented foods are rich in friendly bacteria, making them a natural probiotic. They include kefir, kombucha, kimchi (a fermented cabbage from Korea), miso, pickles (and other pickled fruits and vegetables), sauerkraut, tempeh and yogurt. Important: Try to eat at least three to four weekly servings of fermented foods. Important research: When 70 people consumed probiotic-rich yogurt for six weeks, they had a 44% decrease in depression, anxiety and stress, according to a study published in Nutritional Neuroscience. They also had a 25% improvement in general health. Caution: Many people are sensitive or allergic to yogurt from cow’s milk. That’s why I recommend goat’s or sheep’s milk yogurt to my patients. STEP #3: Probiotics. You’ll get plenty of probiotics in fermented foods—but as with prebiotics, a supplement provides nutritional insurance. And the best probiotic supplement is one with multiple strains of gut-healing bacteria—the key to the health of the microbiome is diversity. Note: Two strains of probiotics are uniquely effective in fighting depression and anxiety—bifidobacterium and lactobacillus. Key evidence: In a study published in British Journal of Nutrition, when depressed or anxious people received either the probiotics bifidobacterium and lactobacillus or a placebo, the probiotic group fared better with a 50% decrease in depression after one month, along with a 60% decrease in anger and hostility and a 13% decrease in urinary cortisol—a sign of reduced stress. *Consult your doctor before trying this or any other supplement—especially if you take medication or have a chronic medical condition.